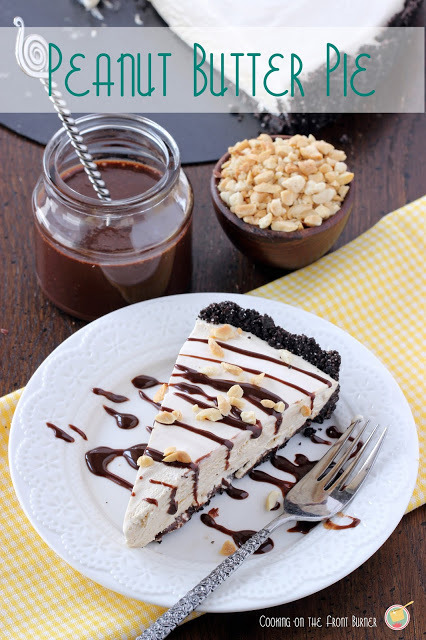 Today I’m sharing one of the DIY Guy’s favorite sweet treat combos with this Turtle Cheesecake Pie. I’m not sure if any of you have Culver’s in your area but that is usually where he heads to get his fix with a sundae. So for Father’s Day I decided to try making it more of a dessert with a no-bake cheesecake topped with all the goodies! Earlier this week I shared the grilled veggie flatbread we had for an appetizer and our main course was another of his favorites – Eggplant Parmesan. This pie was a perfect ending to our meal – cool and refreshing! In a medium bowl combine the crumbs and melted butter. Divide in four small springform pans, press firmly and place in freezer until filling is mixed. 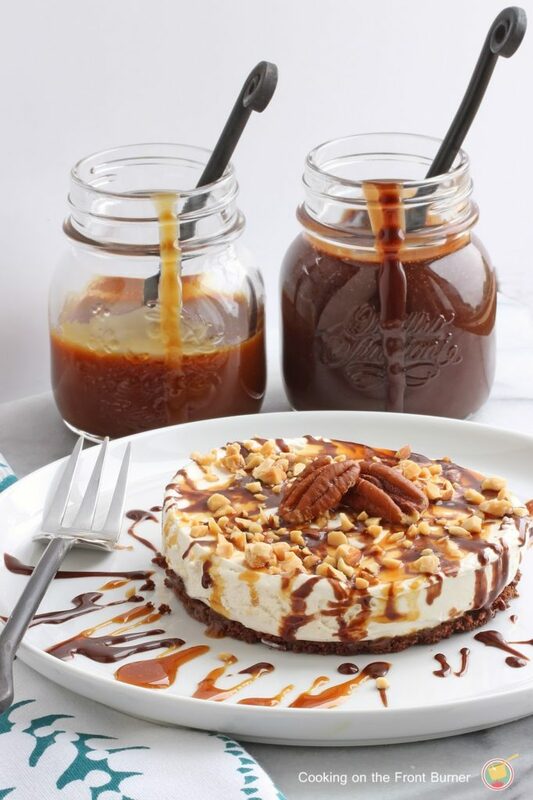 I mean who doesn’t love a light and fluffy cheesecake – that alone is good but topped with warm drizzles of caramel sauce, hot fudge sauce and a sprinkle of pecans really hits the spot! Drooling. 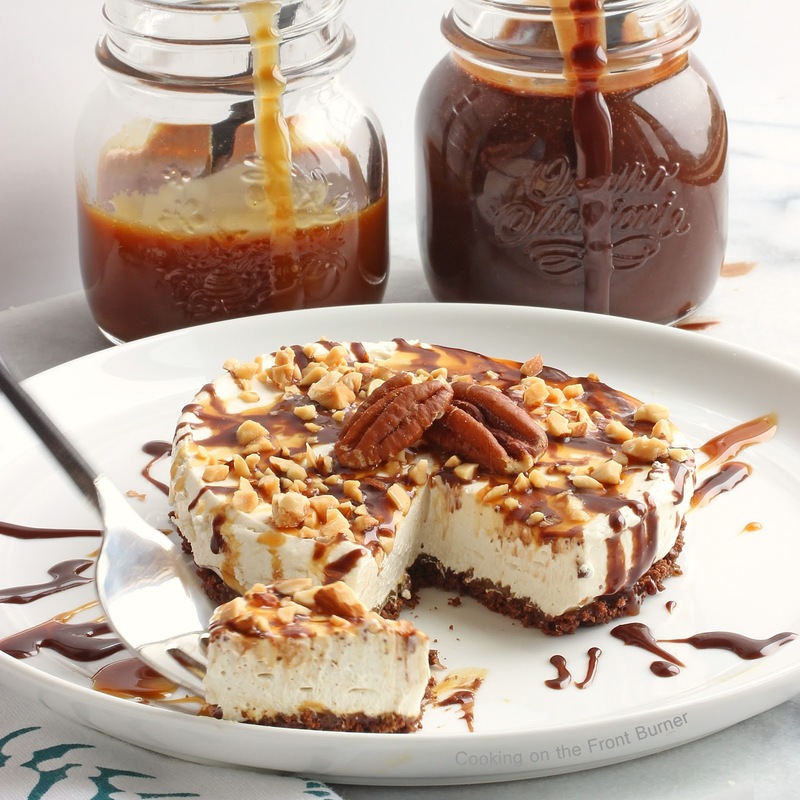 Cheesecake, no-bake, caramel…this is my kind of dessert! Love this Deb! I am so ready to help you eat this. Thanks for sharing! Hello from Freedom Fridays! Wow…this looks amazing!!! Pinning it, for sure! Oh my goodness Deb, this looks phenomenal! I am totally drooling over everything in here! 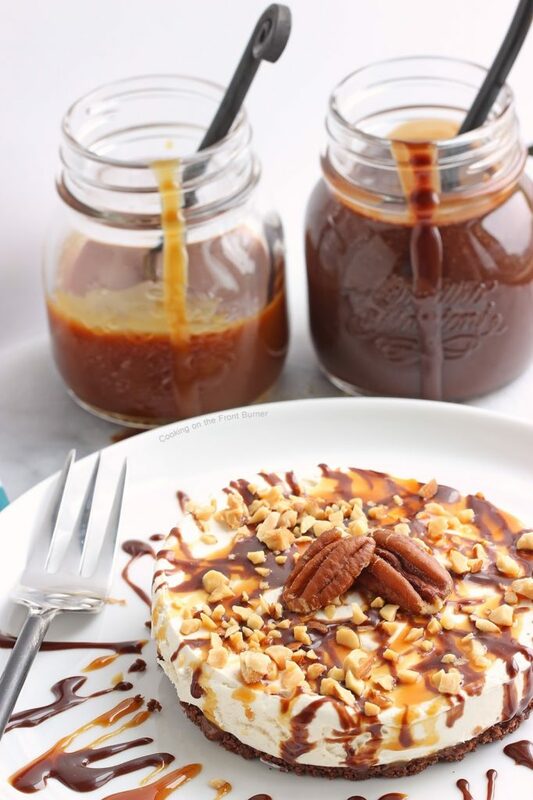 Chocolate, caramel and pecans with cream cheese sounds like the best thing ever – pinned! oh yum, this looks so tempting! Looks like this would go great with a strong cup of coffee! Just found you via the weekend linkup and visited your FB page – hope you are enjoying! Pinned and will be sharing on FB as this week's Most Clicked/Viewed from FreedomFridays With All My Bloggy Friends!!! Congrats on making all of us just drool over this luscious pie!! This looks so delicious! 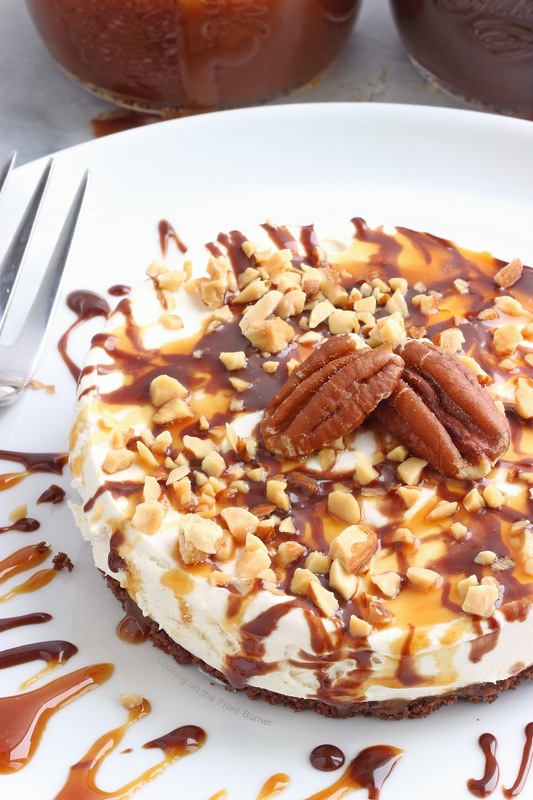 I love cheesecake and with hot fudge, caramel sauce, and chopped pecans…awesome! Thanks for sharing! I am not able to use Cool Whip. Do you see any reason I could not use whipped cream?